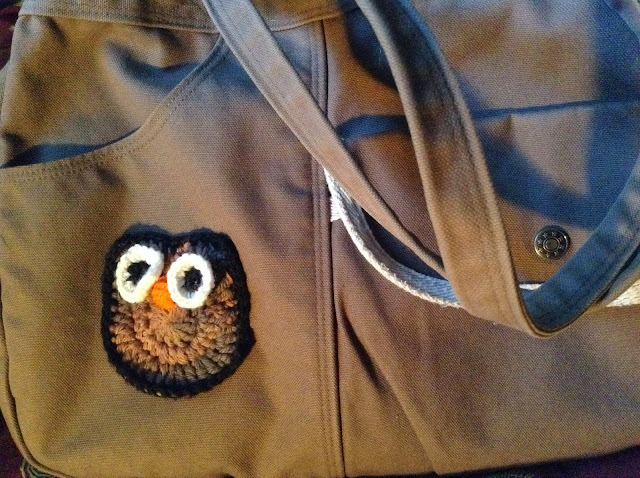 Made this cute owl to brighten up a dull bag. You won't believe the number of compliments I've had. People love owls and it was my school emblem. Love a super quick decorative hooky project. DD has requested a purple one for her rucksack.